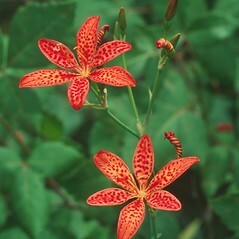 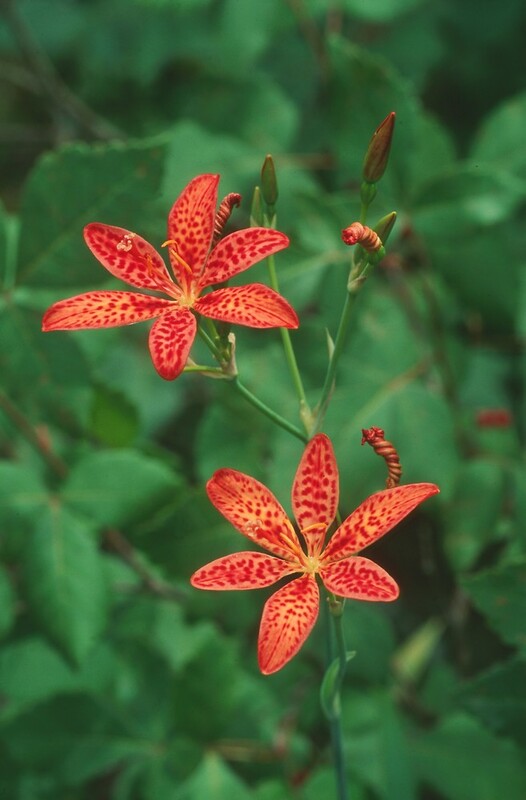 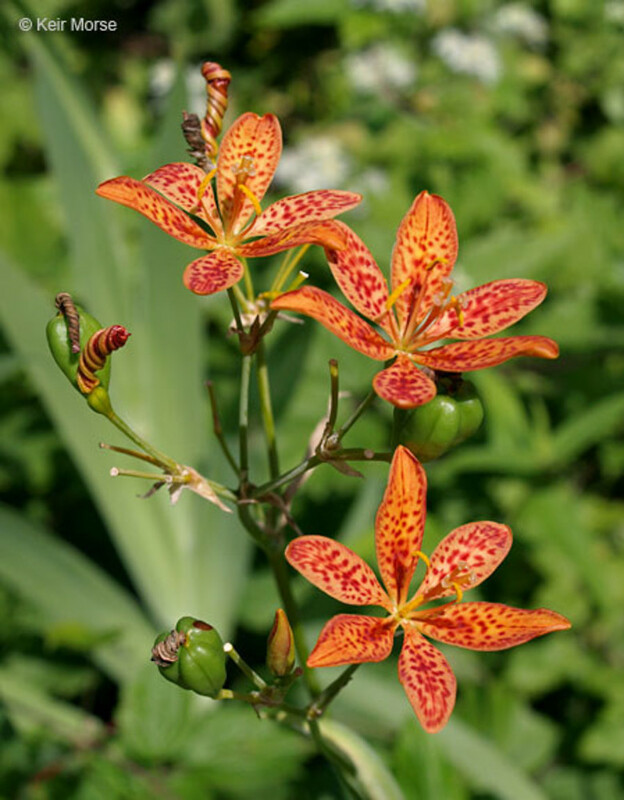 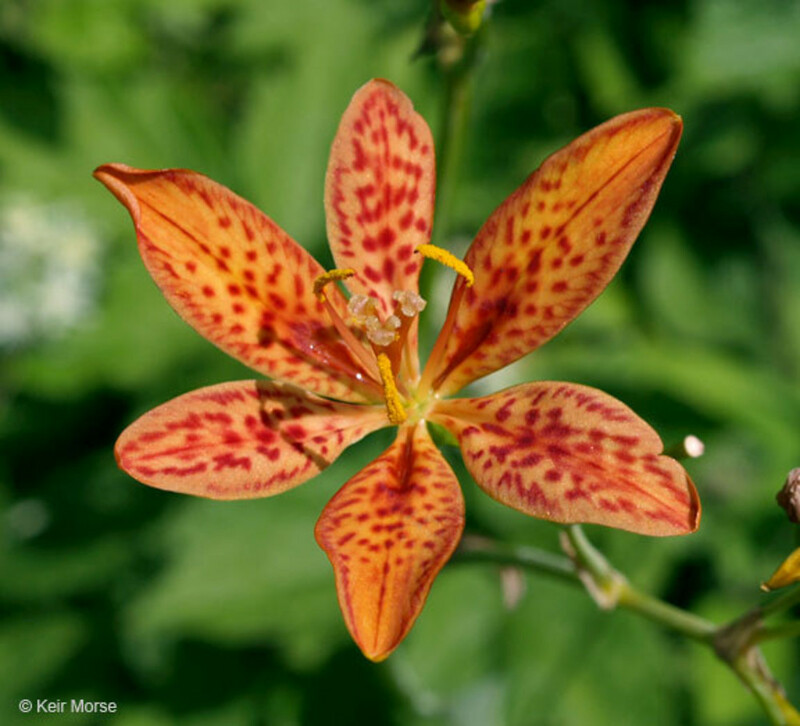 Blackberry-lily is an Asian import that is grown as a garden plant, and may occasionally escape from cultivation. 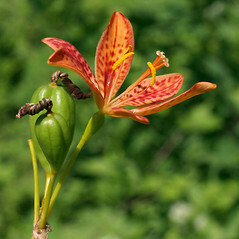 It has been collected in disturbed areas in Connecticut. 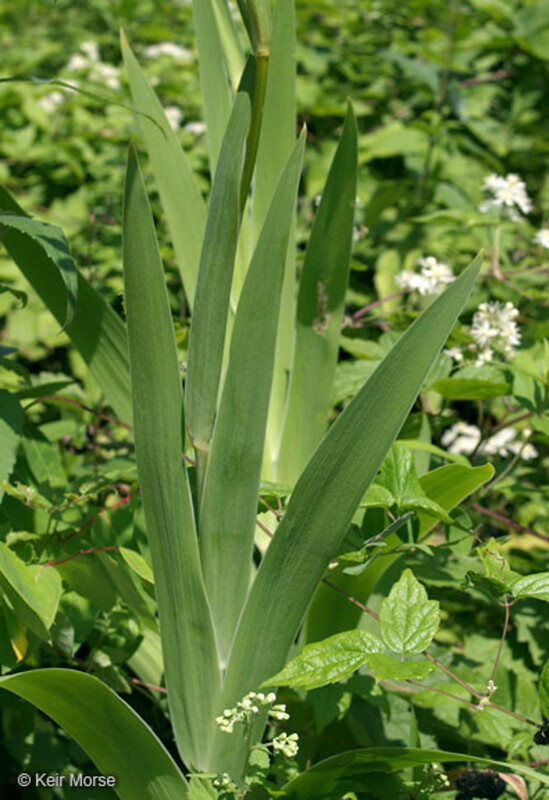 ovary superior and leaves not set edge to stem (vs. 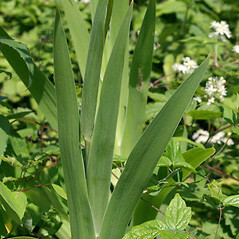 I. domestica, with the ovary inferior and leaves equitant). 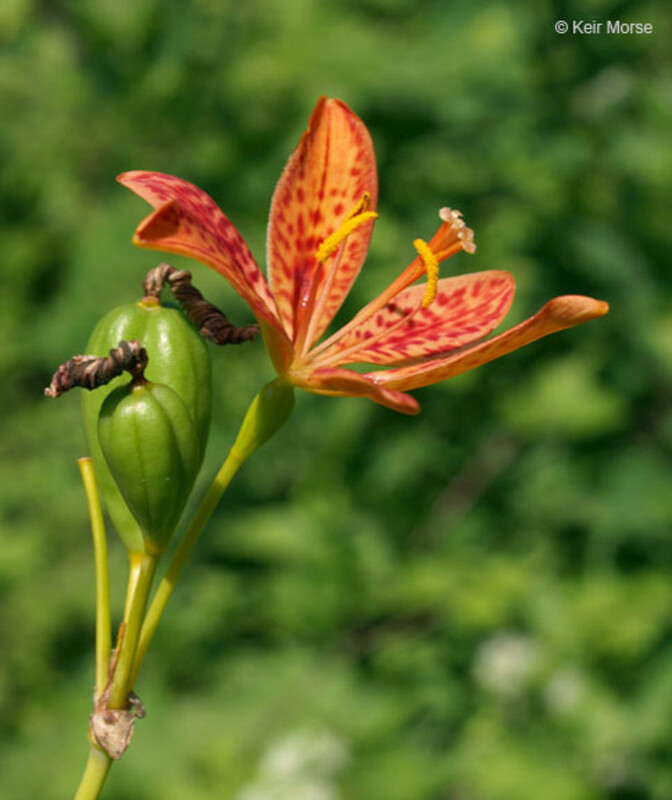 blackberry-lily. 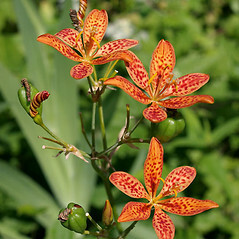 Belamcanda chinensis (L.) DC. 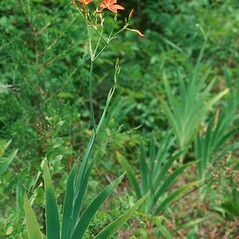 ; Epidendrum domesticum L.; Gemmingia chinensis (L.) Kuntze; Ixia chinensis L. • CT. Fields, edges of lawns, roadsides, abandoned gardens. 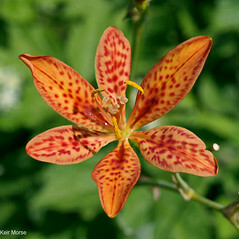 Reports of this species in VT (e.g., Bean et al. 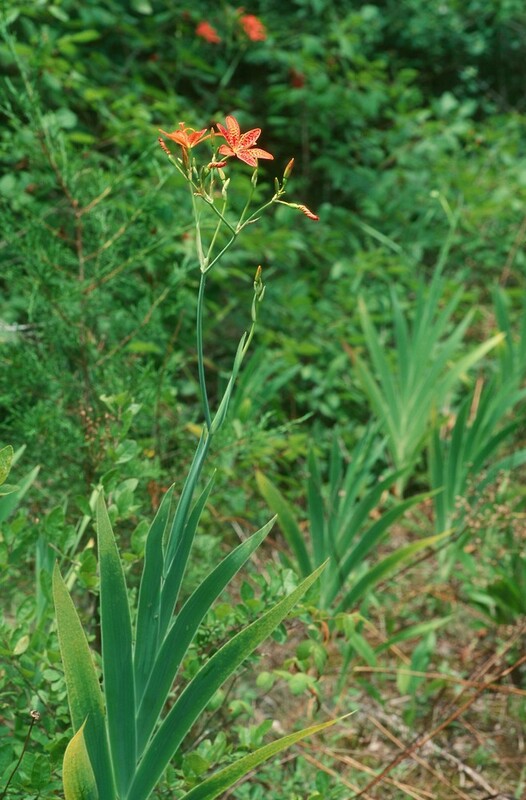 1951) are based on a collection taken from a cultivated plant (specimen at NEBC).